Lara Tiedens was appointed the ninth president of Scripps College on June 21, 2016, by a unanimous vote of the College’s Board of Trustees. As president, she holds the title of the W.M. Keck Presidential Chair, established in 1980. President Tiedens was a senior associate dean of academic affairs and faculty member of the Stanford University Graduate School of Business, where she oversaw educational technology, executive education, case writing, and faculty development for the finance and marketing areas of the Graduate School of Business. In prior years as an associate dean, she led the PhD program at Stanford Graduate School of Business as well as its Global Innovation Program. Previously, Tiedens was the Morgan Stanley Director of Stanford’s Center for Leadership Development and Research, and she has served as an advisor for numerous Stanford leadership initiatives. Professor Tiedens' research is primarily in two areas: (1) the psychology of social hierarchies and (2) the social context of emotion. She is specifically interested in the psychological processes involved in the creation and maintenance of hierarchical relationships. 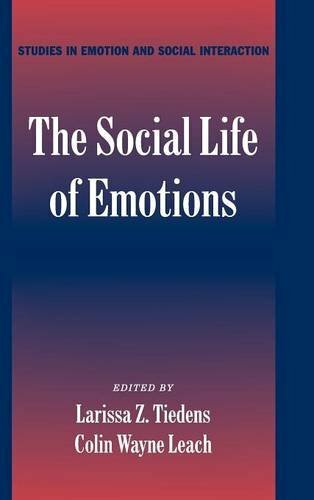 Her work on emotion is concerned with the effects of emotion on social judgment and with relations between social roles and emotions. Tiedens, L. Z., & Leach, C. W. (Eds.). (2004). The social life of emotions. Cambridge, UK: Cambridge University Press. Chow, R. M., Tiedens, L. Z., & Govan, C. (2008). Excluded feelings: Emotional responses to social ostracism predict aggressive reactions. Journal of Experimental Social Psychology, 44, 896-903. Lee, F., & Tiedens, L. Z. (2001). Is it lonely at the top? : The independence and interdependence of power holders. Research in Organizational Behavior, 23, 43-91. Lerner, J. S., & Tiedens, L. Z. (2006). Portrait of the angry decision maker: How appraisal tendencies shape anger's influence on cognition. Journal of Behavioral Decision Making, 19, 115-137. Magee, J. C., & Tiedens, L. Z. (2006). Emotional ties that bind: The roles of valence and consistency of group emotion in inferences of cohesiveness and common fate. Personality and Social Psychology Bulletin, 32, 1703-1715. Overbeck, J. R., Tiedens, L. Z., & Brion, S. (2006). The powerful want to, the powerless have to: Perceived constraint moderates causal attributions. European Journal of Social Psychology, 36, 479-496. Tiedens, L. Z. (2001). Anger and advancement versus sadness and subjugation: The effects of negative emotion expressions on social status conferral. Journal of Personality and Social Psychology, 80, 86-94. Tiedens, L. Z., Ellsworth, P. C., & Mesquita, B. (2000). Stereotypes about sentiments and status: Emotional expectations for high and low status group members. Personality and Social Psychology Bulletin, 26, 560-575. Tiedens, L. Z., & Fragale, A. R. (2003). Power moves: Complementarity in submissive and dominant nonverbal behavior. Journal of Personality and Social Psychology, 84, 558-568. Tiedens, L. Z., & Jimenez, M. C. (2003). Assimilation for affiliation and contrast for control: Complementary self-construals. Journal of Personality and Social Psychology, 85, 1049-1061. Tiedens, L. Z., & Linton, S. (2001). Judgment under emotional certainty and uncertainty: The effects of specific emotions and their associated certainty appraisals on cognitive processing. Journal of Personality and Social Psychology, 81, 973-988. Tiedens, L. Z., Unzueta, M. M., & Young, M. J. (2007). The desire for hierarchy? : The motivated perception of dominance complementarity in task partners. Journal of Personality and Social Psychology, 93, 402-414.